Professor Margolis is the First Vice-Rector of the Moscow State University of Psychology & Education, Professor of Educational Psychology, Professor of International UNESCO Chair MSUPE “Cultural-historical psychology of childhood”, PhD in Psychology. Prof. Margolis holds a great organizational work in coincidence with teaching being a well-known expert in Educational Psychology, pedagogues and psychologists training. 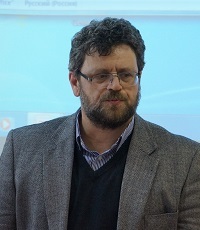 Professor has contributed to the development of a number of scientific concepts and projects, such as Psychological Basis in Use of Information Technologies”, “Cultural and Historical Type of School”, “The Regional model of psychological support for developing education.” The results of these researches have been continually discussed at the Top International Congresses and Conferences. Team of contributors led by Professor Margolis studied the psychological features in dialogical learning environments focused on thinking development of primary school-aged children. This work resulted in the development of a training course “Philosophy for Children” (primary school-aged children). It was approved and recommended by the Ministry of Education for primary schools and officially recognized by UNESCO. At the present time a large number of different schools in Russia provide with this course. Teachers are prepared to work with this program. Among many projects in psychological research and education Professor Margolis is involved in psychologists training. New activity-based model for psychologists training was developed with his direct participation and cosupervision, applied in learning process at MSUPE and approved by Russian Federation Board of Ministry of Education.